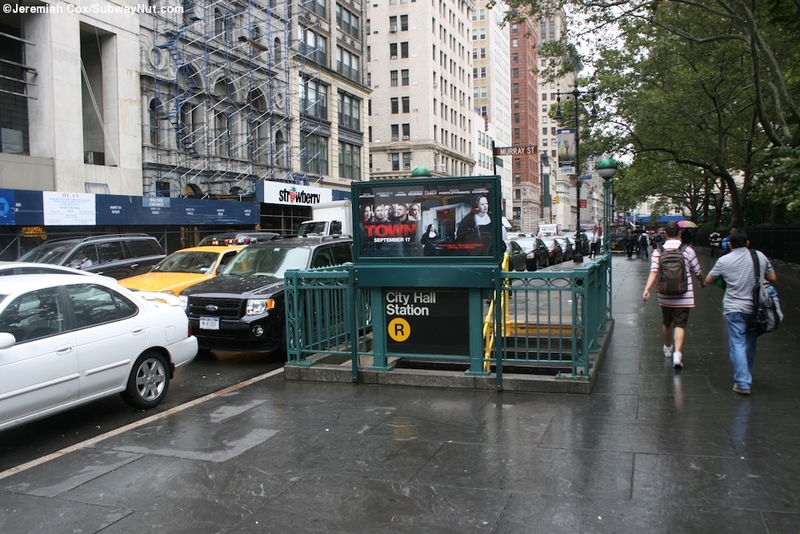 City Hall on the BMT is located beneath Broadway right outside the namesake institution. 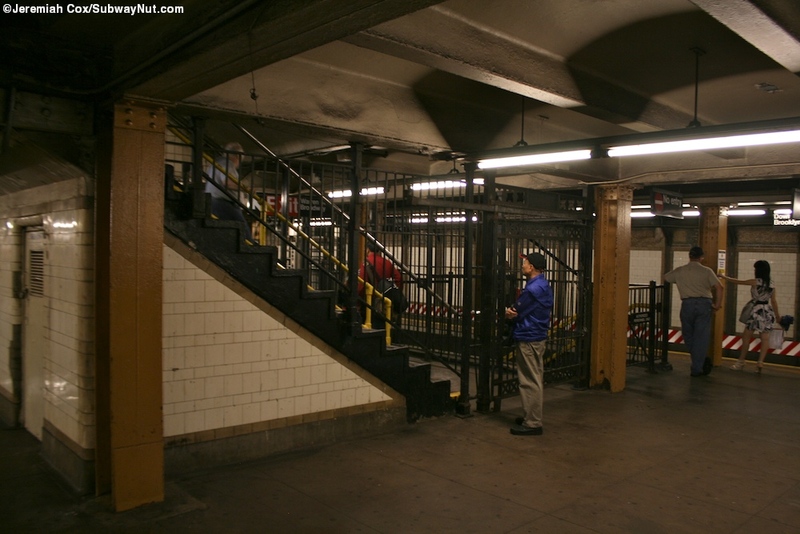 The presently opened station has a unique design consisting a very wide island platform for the two track line with a central fare control area placed directly on the platform just beneath the street. 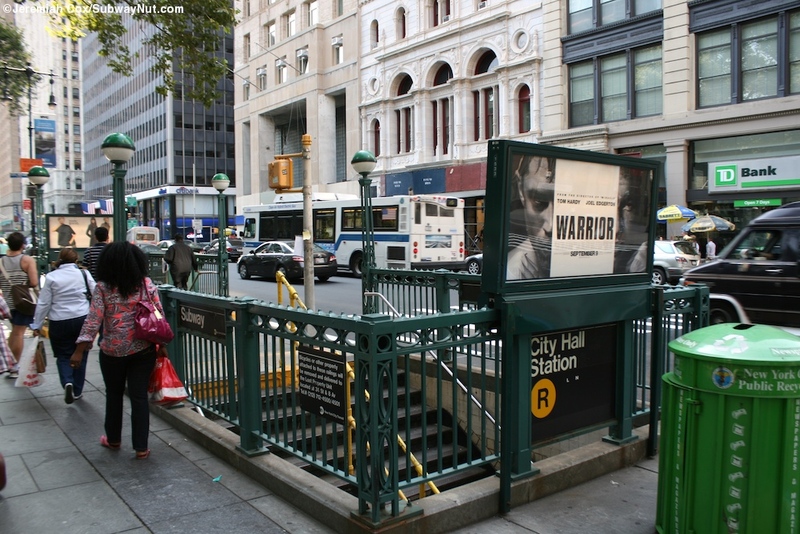 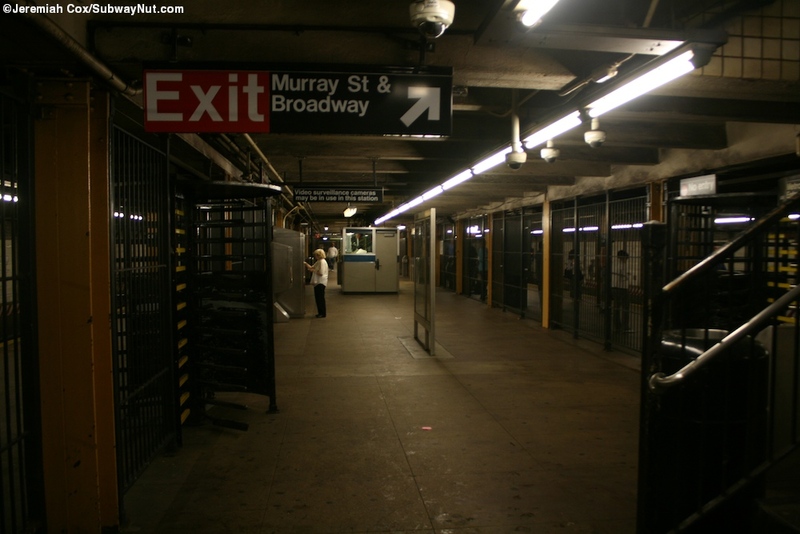 This fare control area has a central bank of turnstiles (one facing each direction) and some high turnstiles for closer access to the three streetstairs with more ornate railings along the Broadway sidewalk of City Hall Park with two across from Warren Street, and one basically at the NE corner of Murray Street and Broadway (it becomes a restricted access driveway into City Hall). 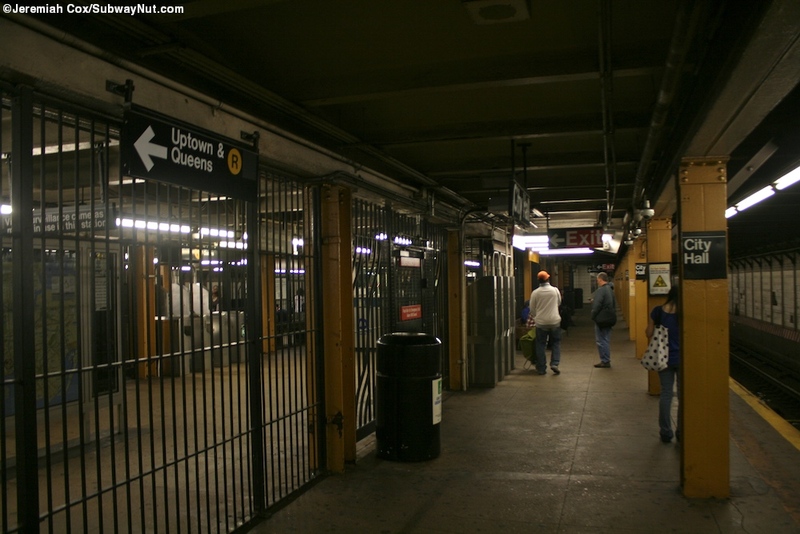 The sections of the island platform are connected at either end of this unique fare control set-up. 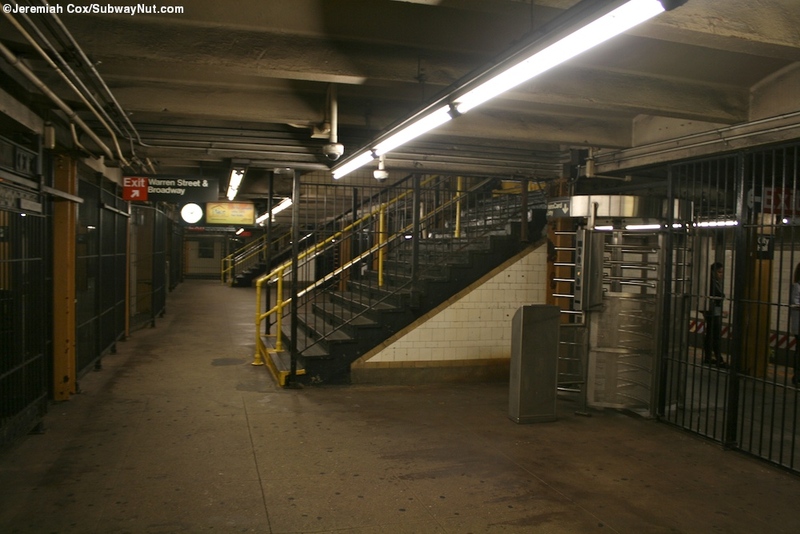 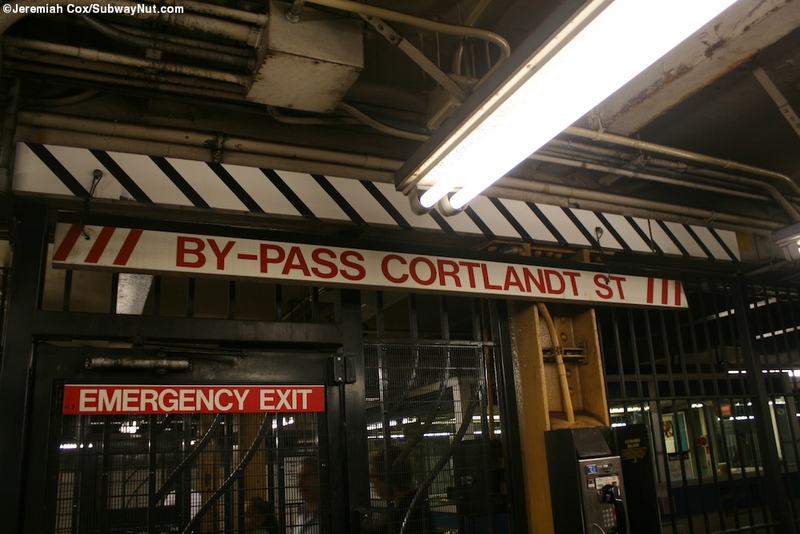 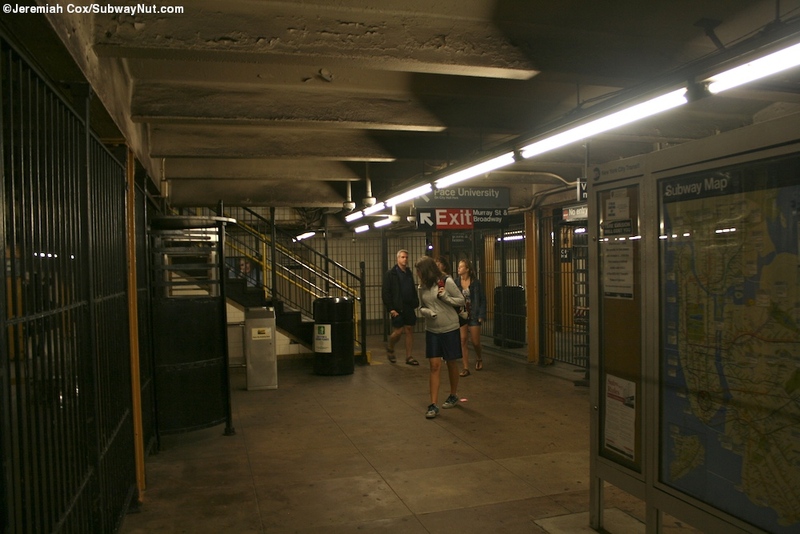 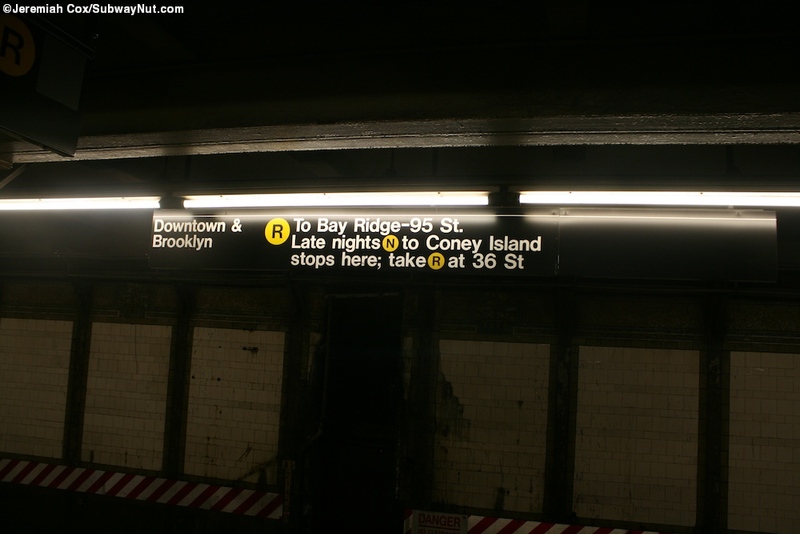 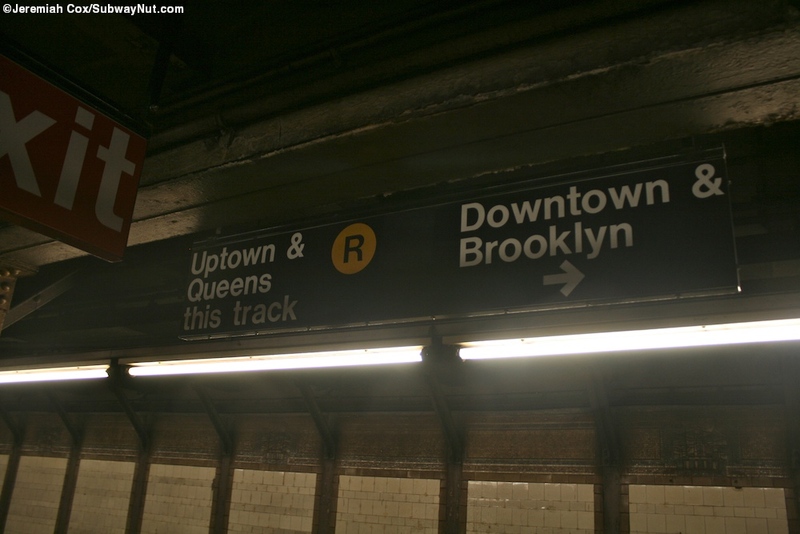 The reason for it is because there is a never opened lower level (the word abandoned is not appropriate) that has three tracks (with two island platforms) and was designed to connect to the former elevated tracks over the Brooklyn Bridge providing a Manhattan Bridge loop service for the BMT. 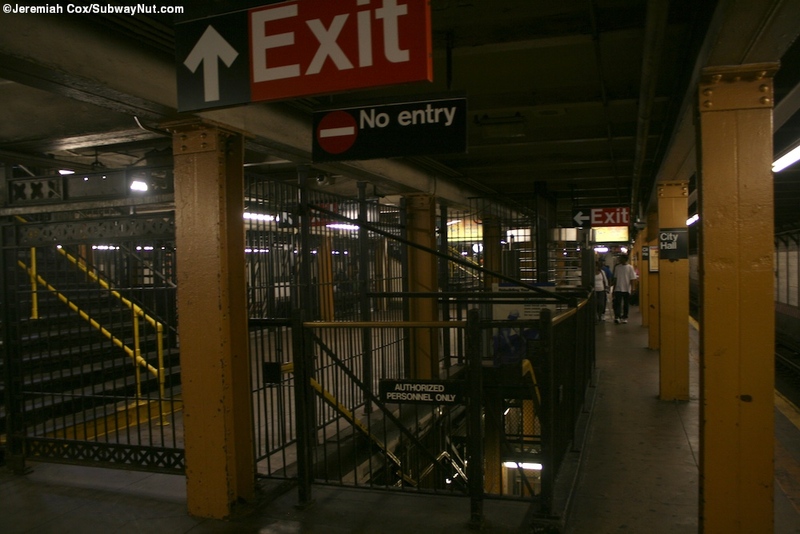 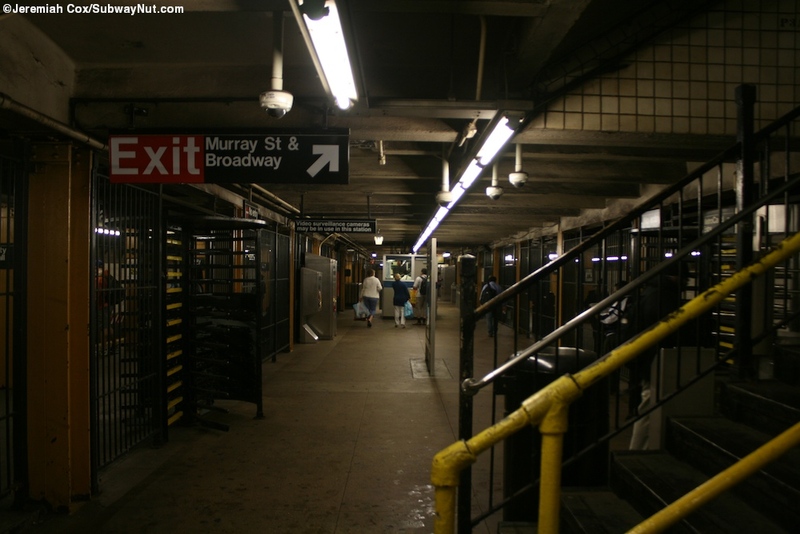 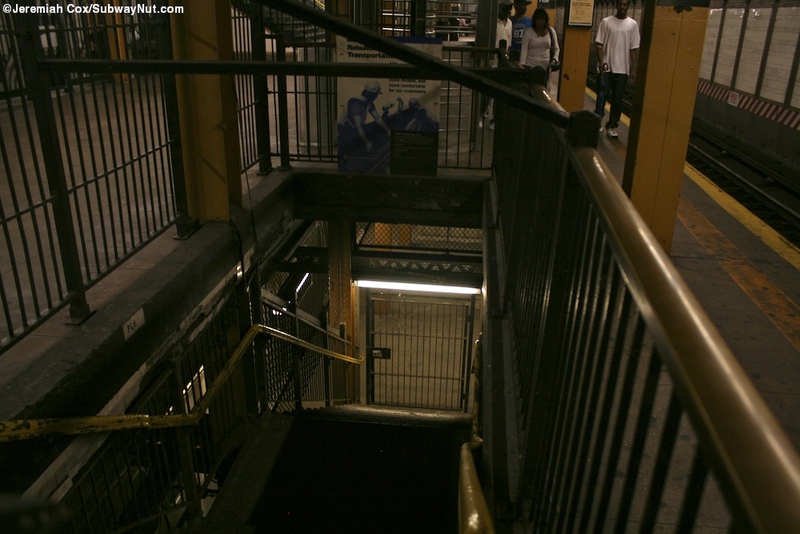 It is used for midday storage and a staircase right beyond alongide the entrance to Warren Street that is fenced off both at its top and bottom lead down to this lower level whose yellow columns are clearly visible. 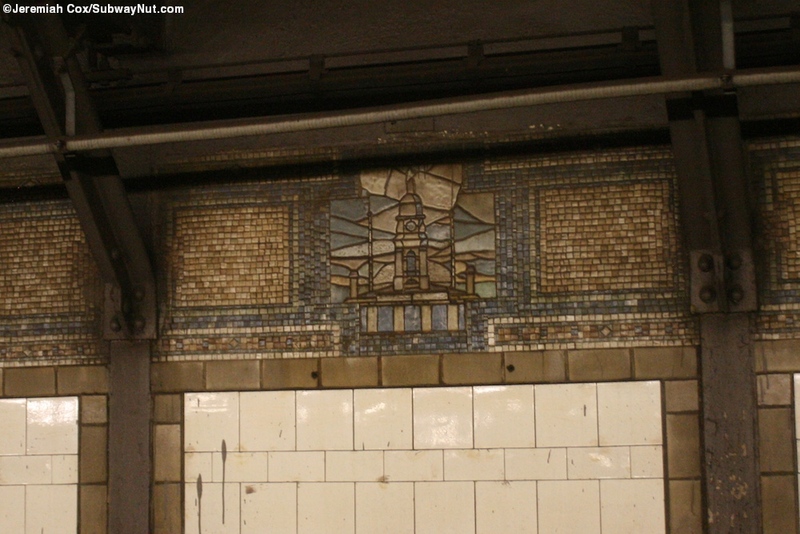 The walls of both platforms have a grey trim line with pictorial mosaic representations of City Hall along them.